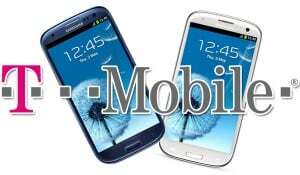 A recent Twitter post by the US number four carrier T-Mobile stated that the Samsung Galaxy S3 is their best selling device of all times. This is very impressive since the Galaxy S3 has only been out for 4 months. Still, the carrier restrained from offering official sale figures to sustain the news. But we have to clarify that T-Mobile is the only big US carrier that still doesn’t have an official agreement with Apple for the iPhone and also doesn’t have any other smartphone on the list that can beat the specifications of the amazing Galaxy S3. Still it is impressive how Samsung gains more and more advantage and strengthens the competition against its main rival from Apple. The iPhone still remains the number one selling device for the top 3 carriers in the US. We will keep you posted for further information about this statement, since then take care and enjoy technology.